After a three-year absence of updates, Star Wars: The Old Republic will be getting a new expansion this September. Called Onslaught, this latest update will add a brand new story, two new planets, a "Flashpoint," a new "Operation," and some brand new abilities. Revealed on the official Old Republic website, the description reads, "Onslaught puts you at the center of the reignited war between the Galactic Republic and the Sith Empire. Will you remain loyal to your faction or work to undermine and sabotage their war efforts? The choice is yours." Players will take a journey to Onderon, the planet of "untamed jungles and savages beasts," stop off at Mek-Sha, a fuelling station situated in a mined-out asteroid, and explore a new area of Corellia for the climactic finale of the story. The flashpoint, playable at any time, will be set on Dxun, a lush jungle set on one of Onderon's moons. As far as gameplay enhancements go, Onslaught will feature a brand new gear type called "tactical items." These items are said to be "build-defining items" that will alter the playstyle and abilities of your characters. 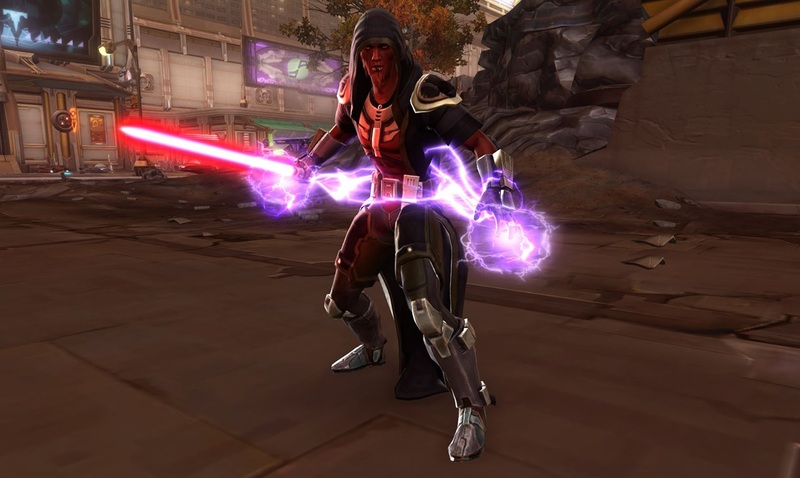 New general item sets will be obtainable via crafting, "Galatic Command," PvP, and PvE. Finally, the level cap will be raised to 75, with every advanced class unlocking new abilities as they progress. Onslaught will be free for all subscribers to The Old Republic when it launches in the fall. There is no word on whether it will be offered standalone for any free-to-play users.